Spark the imagination of your child with this Despicable Me coloring printable and let them use all the colors of the rainbow. Next time your kids want to get creative, make sure you have Coloring Library bookmarked. We have many Despicable Me coloring pictures and they're free to print! Coloring pages are also great to use at birthday parties. 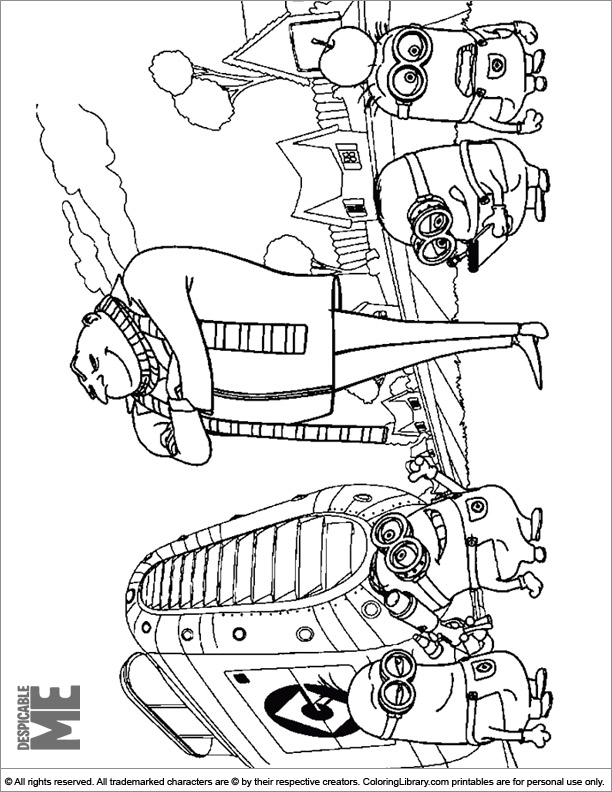 When you are done coloring this Despicable Me coloring printable hang it on your fridge. Make coloring a weekly activity by printing all the Despicable Me coloring pages from the library.